Step1- The centerpiece. This is the most important part of the whole centerpiece. Depending on the theme of the shower/wedding you're having will determine the type of holder you will need. If traditional go with a plain over sized champagne bowl/glass or round or square. If more exotic go with a nice stained margarita or an exotic martini glass design. Lastly, if ritzy go with any of these holders in a bling or iced look. Step2- candle fixture/holder. There is an assortment of different kinds of holders and fixtures to display your candles in. I would recommend picking out the holder before the candles as this will dictate what kind of candles will be used. Just remember to coordinate your theme to the holder, the bowl, and the centerpiece as a whole. Step3- candles. There are a wide array of floating candles on the market. Choose one that will coordinate with your theme. 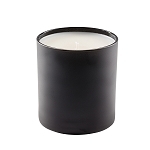 There are tealights, mini-votives, tapered candles, and many more. They also come in many designs and assortments. Pick ones that you feel fit your theme and keep in mind the kind of display/holder its going into. Step4- flowers or themed items. Now that you have completed all the other steps you need to create the outside display for the centerpiece. Rose pedals are always a nice accent to any centerpiece as they come in many colors and are the traditional flower to most weddings. Just take a handful and sprinkle them around the base of the centerpiece to add effect. If you're not using flowers you may use stones, small plants, wedding /shower gifts for guests, or whatever may fits your theme. Step5- Just Remember. To visualize it in your head and build it starting with the centerpiece, the candle holders, candles, and the accents to the centerpiece. ALWAYS REMEMBER! This is your special day so pick what you want, not what others want. And checkout some of the sources and resources on the page for further ideas and help.